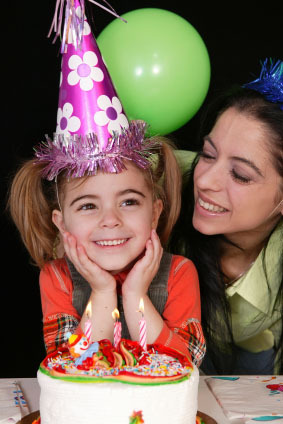 need fab birthday party ideas? There's just a few stellar birthday party ideas between you and the über hostess you were meant to be. And if it weren't for those 100+ pesky little items on your 'to do' list every day, you would have the time to find them. Not to worry. I'm always on the hunt for the very best ideas to share with you. Together we'll make all your parties the talk of the town! If you've got the desire , I've got the know-how. So stay a while and check out all the tips and tutorials. There's tons of inspiration to creat your own amazing parties, and you can inspire others by sharing with us your own fabulous birthday party ideas. Copyright 2009 www.easy-birthday-party-ideas.com. All rights reserved.